The Beatrix Potter Peter Flopsy Plate is great piece of dinnerware for your child. Not only does it feature an adorable Flopsy Rabbit print, but it’s also entirely organic… Made from bamboo fibre, it’s 100% biodegradable, toxic-free and ecofriendly. 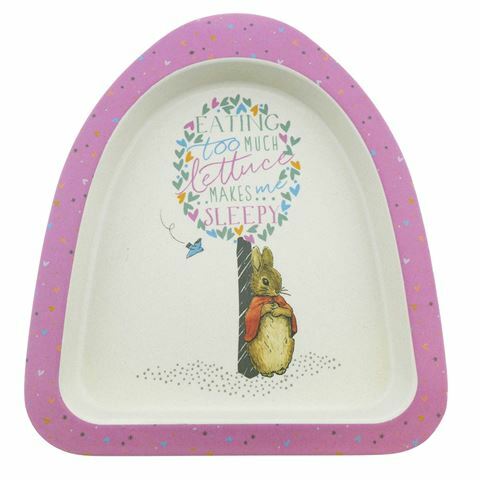 There’s never been a plate so cute and environmentally conscious!. Suitable for children over 18 months old. Made from 100% biodegradable bamboo fibre. Dimensions: 22.5cm (l) x 20cm (h) x 2.5cm (w).